‘I’m angry today, because for the second time on Spurs Official, the club has posted a story telling us that from January 19 – our home match against Sunderland – a Controlled Parking Zone is coming into effect, which in short will prevent supporters from leaving their cars in around 100 streets near the stadium. Looking at the map kindly provided on the site shows these are pretty much every road in the vicinity of White Hart Lane and ones I, and thousands of others, use to park to see a match. It says the scheme was introduced following “a lengthy consultation and a ruling by the Mayor of London”. No surprise there that anti-motorist Mayor Ken Livingstone is involved. I don’t remember being asked for my view though as a season ticket holder, were you? ‘This is possibly the biggest change to our match day regime in decades and no-one seems to be taking it seriously or offering advice. I emailed Haringey Council about two months ago when I first heard of this to get some proper details, and I am still waiting for an answer. What this means is on a Saturday, Sunday or Bank Holiday, these streets can’t be used between noon and 4.30pm and will be out of action to fans from 5pm to 8.30pm for weeknight kick-offs. So where do they expect us to park? The Council, and THFC, now expect fans to walk for ages to get to White Hart Lane and all this is going to do is push thousands of cars onto the outskirts of the controlled area. Not only does this cause safety issues for men and women walking from a game through dark streets they are not fully aware of, but what about the disabled, pensioners and little kids now facing an even longer trek. It’s actually the biggest slap in the face to supporters I can ever recall and I can’t see that the Club has a) thought this through and b) spoken out enough about it and in favour of their loyal fans. The tube and train system around the ground is packed out at the best of times without adding more people to it. There are not enough car parks and this is now a green light to those to double their prices. 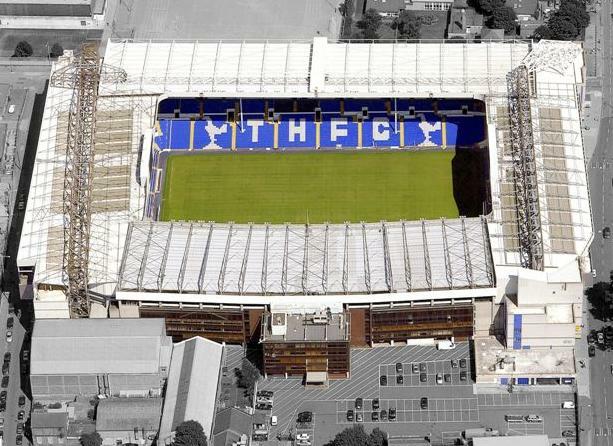 If THFC were arranging for more places to open up as car parks for a fiver, then fine, I’d happily pay that. Or what about a Park and Ride scheme? The likes of the IKEA car park and all the trading estates nearby have plenty of empty spaces and that would alleviate congestion. Haringey Council seems to forget how much cash flows into the area from Tottenham Hotspur FC and its fanbase spending money in surrounding shops and takeaways on matchdays. If people are forced to park further away, then they will have less time to hang around and shell out money. What also seems to be forgotten, is that the very residents complaining about not having a parking space, bought their homes knowing it was near a football stadium. Talk about moving the goalposts. White Hart Lane was there first and when they took the keys they must have known on certain days they were going to face a struggle to park. Not that I don’t feel sympathy for them, but it’s ridiculous to start complaining now. On January 19, we are all going to be forced into a radical change of our travel arrangements leading to confusion, anger and a fair few people being late for kick-offs as they struggle to park. A wrong turn without realising could also leave them out of pocket from a ticket or worse, with no motor when they return after the final whistle, if it has been towed. It is not good enough for Spurs to post what they have on the site. They should write to every season ticket holder and member and explain it fully, and advise us where they expect us to park. 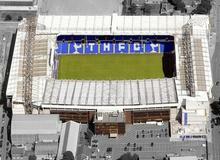 As for Haringey Council, let’s hope this decision proves the final nail in the coffin for our tenure at White Hart Lane. If this is not a reason to move to a purpose-built stadium, with better public transport and parking, then we’ll never find a better one. Pretty shameful behaviour, wouldn’t you say?